This technique straightens teeth without braces, using a series of clear removable aligners. Those that are candidates for Invisalign are given removable aligners to move their teeth. Each set of aligners in the series is worn for about two weeks. The aligners are virtually invisible and easy to remove for eating, brushing and flossing. 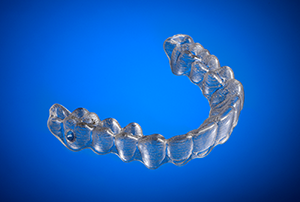 The custom molded aligners can be used to solve a range of issues, including: crowding, spacing, overbites and crossbites.